In the early modern period the trade of textiles, dress and other fashionable materials reached a global scale. 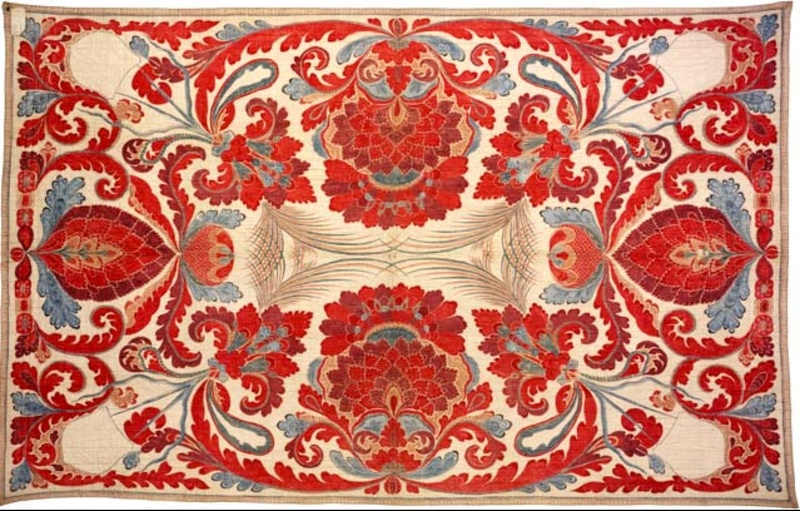 Cotton textiles were the backbone of the trade of the European East India Companies in Asia, but also between Asia, Europe, Africa and the Americas. They followed the global success of the silk trade and the several attempts to transplant silk’s cultivation from China to southern Europe and then to Northern Europe and the Americas. Woollens became key to the Atlantic trade and linens structured long-distance trade within Europe, China and India. One should not forget the trade in mix fabrics, in beaver hats, lace, feathers and other decorative items as well as the exchange of ready-made garments, of types of fashionable garments, of designs, of raw materials such as dyes and fibres, and of technologies. This workshop brings together PhD and Postdoctoral students to reflect on transnational, comparative and connective histories of the early modern exchange of textiles, dress and clothing. We encourage in particular the submission of papers exploring new topics and methodologies, ranging from the quantification of trade, to technological transfer, to the use of material culture methodologies in research. To submit a proposal, please send a 200-word abstract and title of the proposed paper, together with a one page CV, to: k.hutkova@warwick.ac.uk.The closing date for proposals is 15 July 2014. Successful candidates will be notified by the 10 August 2014. The cost of accommodation, lunches and dinners will be covered by the CTR and the GHCC. We are able to offer a small number of travel scholarships up to £75 (travel within Britain), £125 (travel within Europe) and £250 (travel from outside Europe). Please indicate in your email if you would like to be considered for a travel scholarship.